Shake It Up! 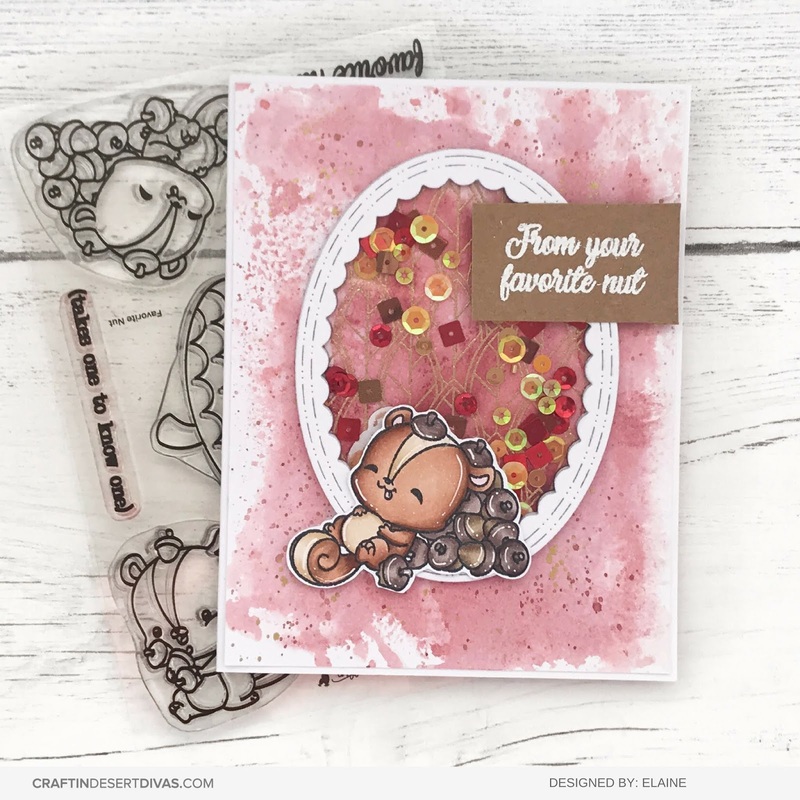 CDD Designer Creative Challenge! Hi Crafty Friends! Today I'm sharing a fun shaker with you and it features some new products from the new release too! To begin I took two pieces of white cardstock and smooshed Victorian Velvet distress ink to use as my background on both panels. On one of the panels I used the new Leafy Background stamp set and heat embossed this with tinsel gold embossing powder. 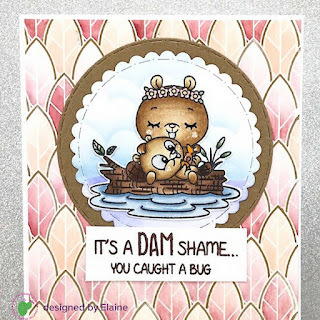 I used the Inside Scalloped Oval Dies to cut 8 oval frames from white cardstock and also to cut the heat embossed panel I created. 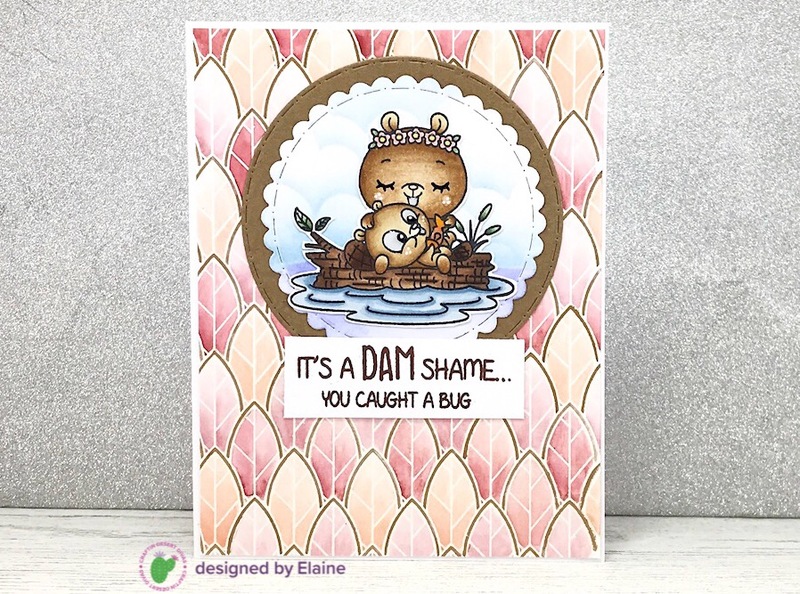 I adhered the embossed panel to the other smooshed background I created and then started layering up the frames around the edge. Once I had glued and layered up seven of the oval frames I filled my oval well with Maple Leaves Sequins. I glued a piece of acetate over the top of the sequins ensuring all the sides were secured down to the oval frame. Finally I glued one last frame over the top. 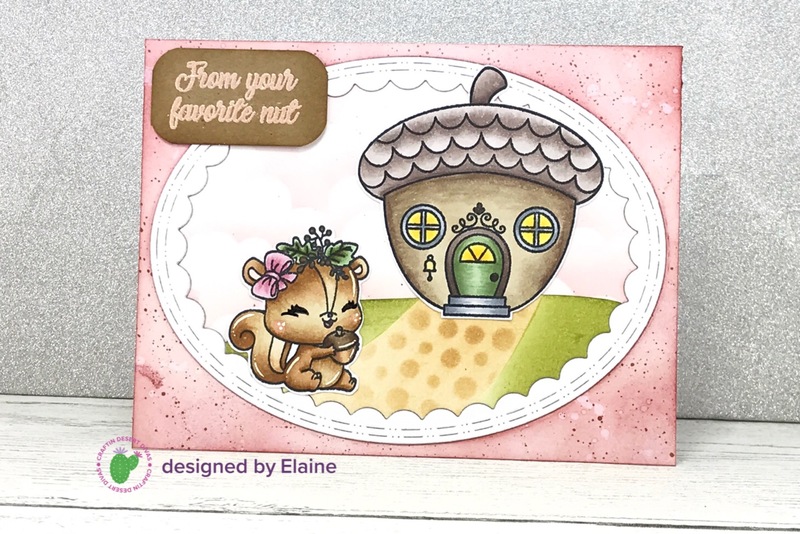 I used the Favorite Nut stamp set to colour my squirrel image with copic markers and heat embossed a sentiment on to kraft cardstock with detail white embossing powder. 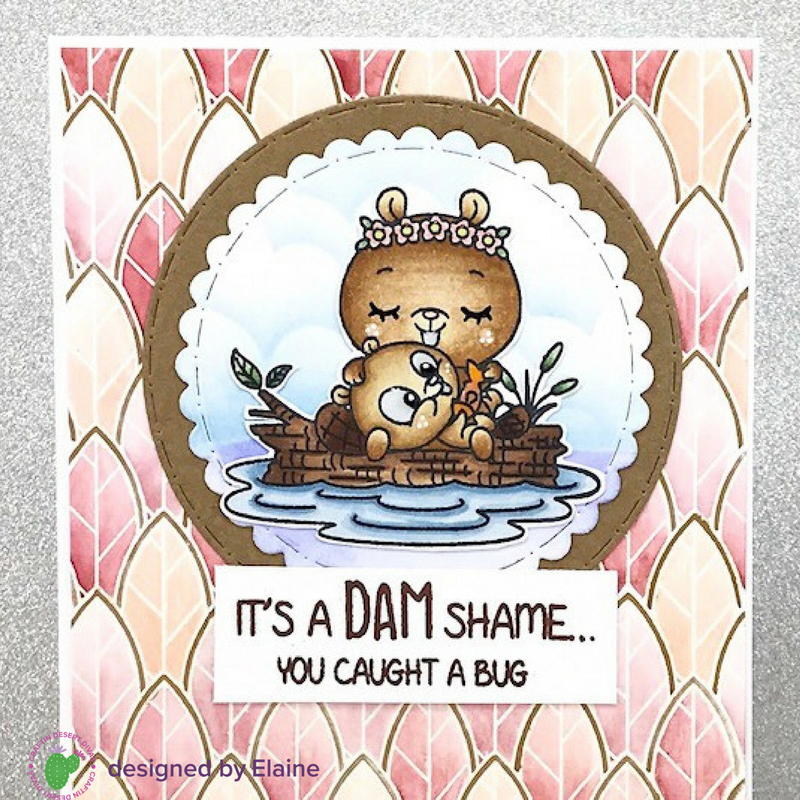 I think this card turned out super cute and I think these sequins are great for colour and size variation! 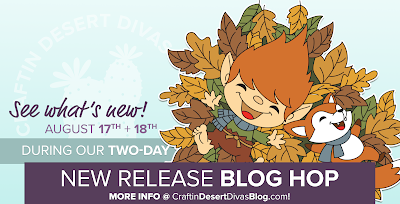 Hope you have a great crafty day! 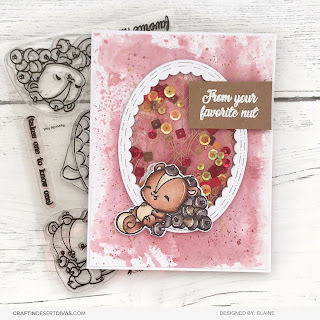 Smiles Across The Miles - Designer Creative Challenge! 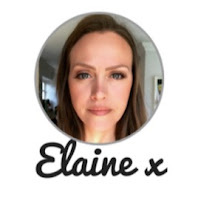 Thank you for joining me on my blog! 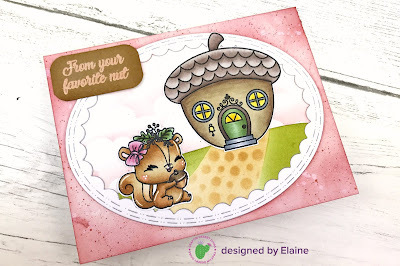 Today I have this super adorable card to share with you using the Gnomie stamp set! 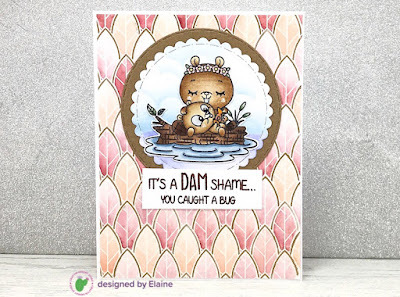 I'm sure this card would put a smile on someone's face because those images are just the cutest! 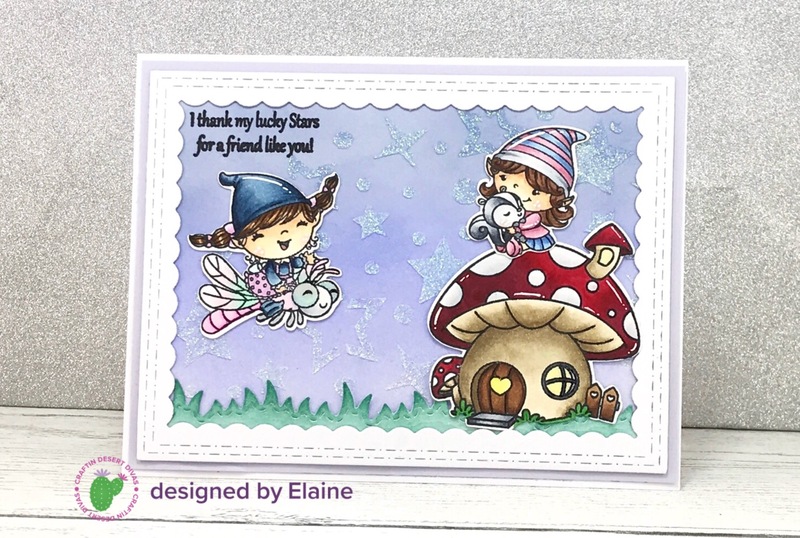 I had these super sweet images already coloured in my stash (they were coloured with copic markers) so I pulled them out and created a cute scene for them. to shade the sky in a gradual gradient (darker at the top, lighter toward the ground). 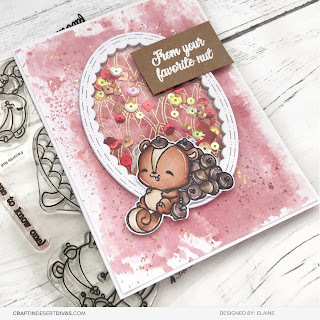 Once the background was dry I then used the Star Galaxy Stencil and spread some Nuvo Glimmer Paste in Moonstone over the top to add depth and glitz to the sky. I left the glitter paste to dry overnight. My grassy border was cut using the die from Outdoor Landscapes 2 from some plain white cardstock and inked up with Evergreen Bough distress ink. Once I had all my pieces ready I decided to cut a frame using the largest frame from the Inside Scalloped Rectangle Dies. I placed my grassy border behind the frame with Nuvo Glue and then adhered the frame to my background panel. I then used the same glue to adhere my coloured images and secure the whole panel to an A2 white cardbase. I used a sentiment from the Stars and Wishes stamp set and I stamped this in Onyx Black Versamark Ink.